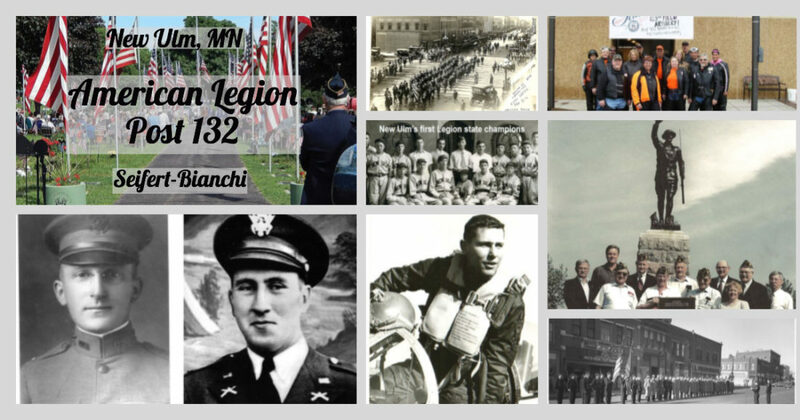 A collage of photos is part of the Seifert-Bianchi Post 132 Centennial Website (www.nuamericanlegion.com, click on the History link). Included, at lower left, are the post’s namesakes, Corporal Benjamin J. Seifert, New Ulm’s first World War I casualty (April 2, 1918) and Capt. Willibald Bianchi, who received the Congressional Medal of Honor for heroic action in the Philippines in World War II. 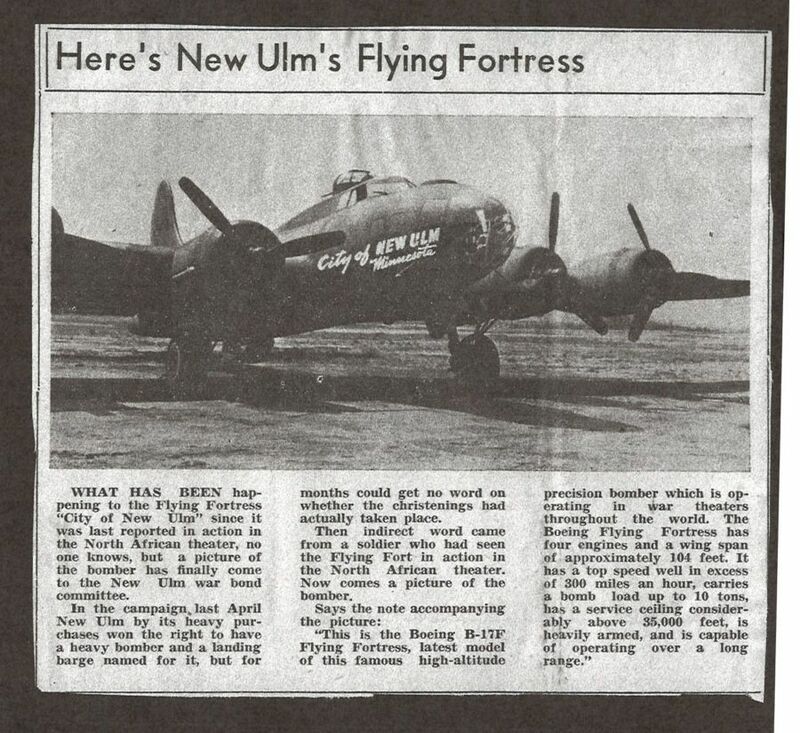 New Ulm’s Flying Fortress, “The City of New Ulm” was a Boeing B-17F. 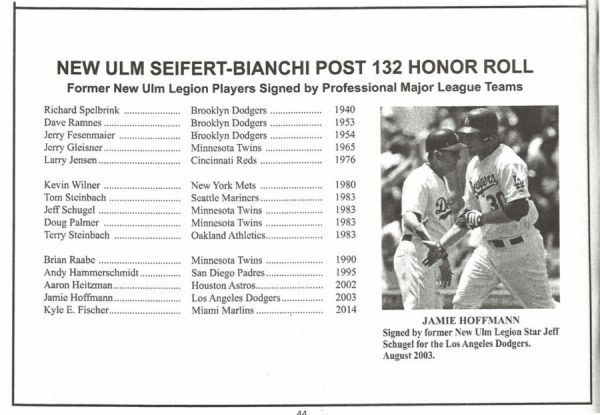 New Ulmite Jamie Hoffmann was one of the latest New Ulm Legion players to be signed by Major League teams, according to the Honor Roll on the web site. 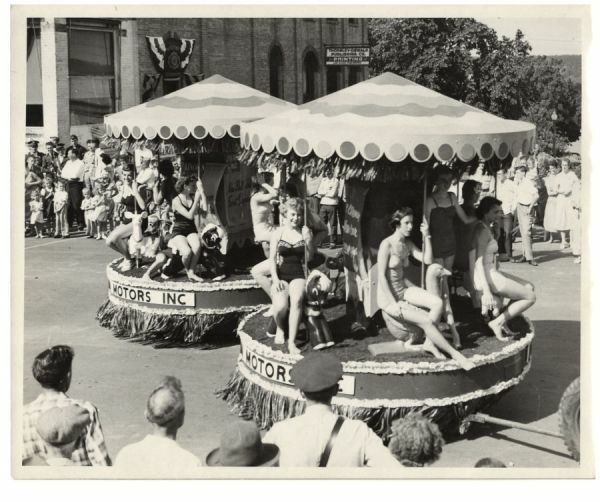 The 1952 Legion Parade featured the Johnson Motors float. Maidens on the left merry-go-round are Barbara Keckeisen, Janet Townsend, Shirley Becker and Shirley Ubl. 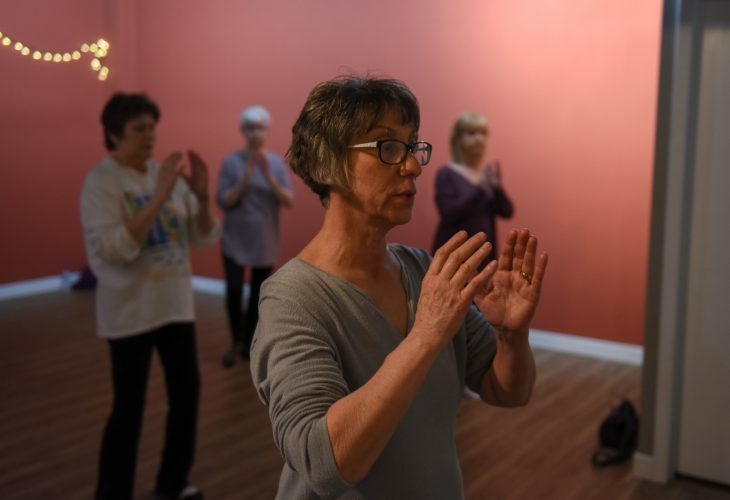 On the right are Helene Fesenmeier, Rosemary Kuck, Jill, Barbara Kumm, Jeanne Keckheisen and Carol Forschman. New Ulm’s first Legion state champion team defeated Cokato 13-12 in 10 innings in the championship game. The team had boys with good German names like Kusske, Manderfeld, Schweppe, Mueller, Raabe, Spelbrink, and Aufderheide. After six months in development, the New Ulm American Legion Seifert-Bianchi Post 132 Centennial history website is operational. 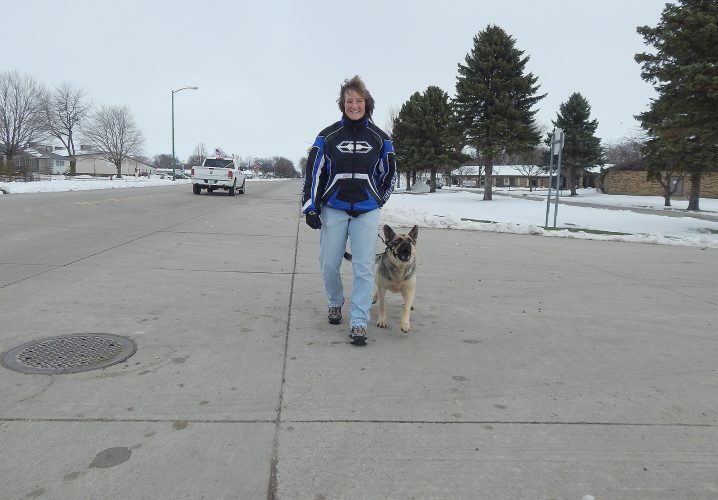 Including 101 years of history from World War I forward, the website edited by George L. Glotzbach, includes photographs and capsule stories of the history of WWI, the American Legion and New Ulm. Photos and stories include the state champion 1934 American Legion baseball team that rode to the state championship game in Cokato in the back of a truck. In the middle of the game, New Ulm learned that their hand signals were being stolen by Cokato, so they changed them to audible words in German, and won the game 13-12 in 10 innings. 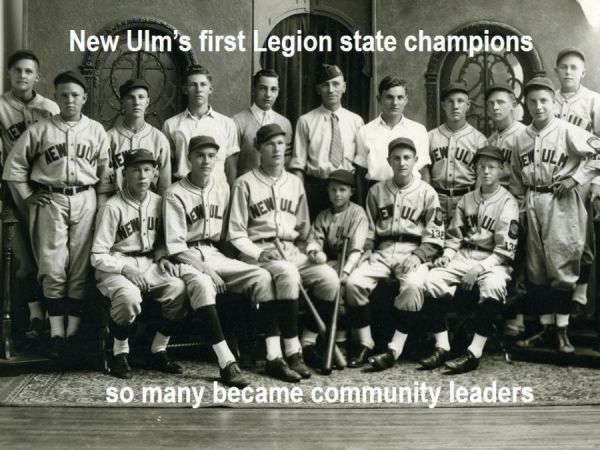 A Post 132 Honor Roll includes a list of former New Ulm Legion players signed by major league baseball teams. 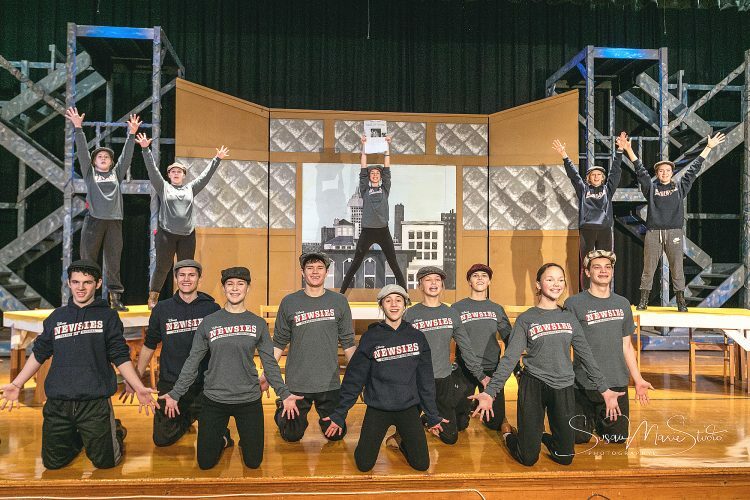 Other fun facts on the website include the “City of New Ulm, Minnesota” B-17 Boeing Flying Fortress high-altitude, heavy bomber last reported in action in the World War II North African Theater. Glotzbach said the irony of the B-17 is this type of aircraft was among those used on American and British air raids that devastated Ulm and Neu Ulm, Germany on March 1 and April 19, 1945. Glotzbach wrote that Post 132 archives include four scrapbooks covering WWII that contained hundreds of undated biographies and photos of service men and women. 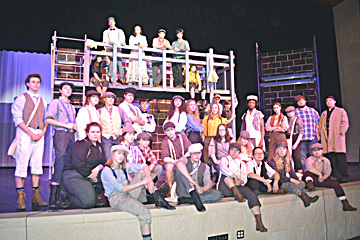 More than 600 were published by the New Ulm Daily Journal during the war. The Sept. 26, 1917 issue of the weekly New Ulm Review published a photograph of Brown County boys on their way to Camp Dodge, Iowa, led by George J. Glotzbach, who was appointed temporary captain of the group of WWI draftees. A downtown parade included several thousand people, flags and bunting honoring the boys as they left the armory. 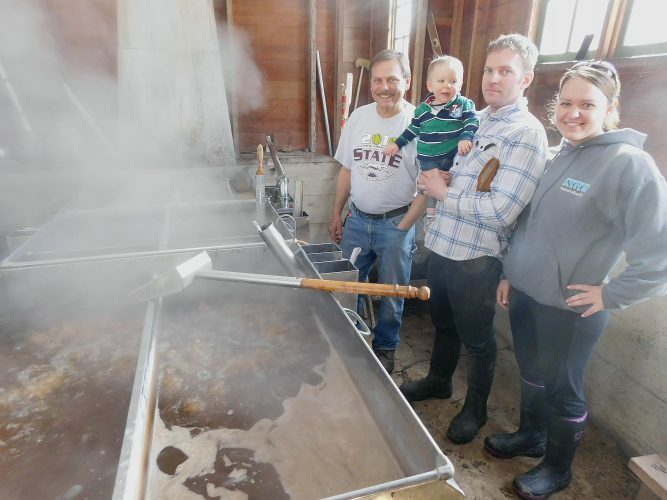 Several bands played including one from Sleepy Eye, Hofmeister’s Band of New Ulm, and the New Ulm Concert Band. To access the website, visit www.nuamericanlegion.com, click on history at the right in the top bar. Scroll down through 55 stories from 2018 to 1917. 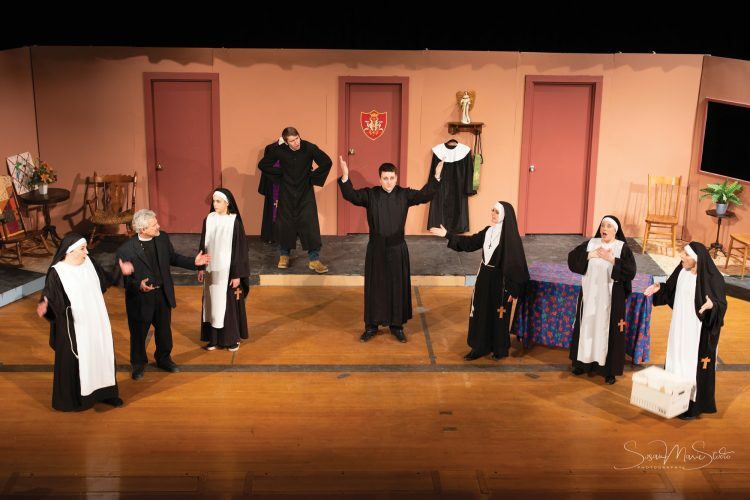 Click on the stories for more information.